Previously, genes that encode the recipe for making proteins have been implicated in maintaining the proper number of chromosomes in a cell. The NORAD gene, however, does not encode a protein. Instead, NORAD produces a long noncoding RNA, a type of molecule that was not previously known to be important in chromosome maintenance, the researchers report in the journal Cell. The scientists unexpectedly found that NORAD plays a critical role in keeping the genome stable, and conducted experiments showing that when NORAD is absent, cells frequently lose or gain whole chromosomes. Microscopic imaging revealed that cells lacking NORAD are unable to properly pass on chromosomes as they divide. NORAD controls chromosome segregation during cell division by regulating the activity of a family of proteins called PUMILIO proteins. In cells lacking NORAD, overactivity of PUMILIO leads to an unstable genome. Since most cancer cells also exhibit genomic instability, Dr. Mendell and his team are now exploring whether abnormal function of NORAD or PUMILIO proteins contribute to human tumors. Dr. Mendell, a member of the Hamon Center for Regenerative Science and Medicine and the Harold C. Simmons Comprehensive Cancer Center, and a Cancer Prevention and Research Institute of Texas (CPRIT) Scholar in Cancer Research, has been a leader in the study of other types of noncoding RNAs, including microRNAs, which are involved in regulating gene activity, and play important roles in development and disease. By investigating the roles of microRNAs and other noncoding RNAs, the Mendell lab is hoping to eventually develop new therapies that have the potential to treat cancer and other diseases. 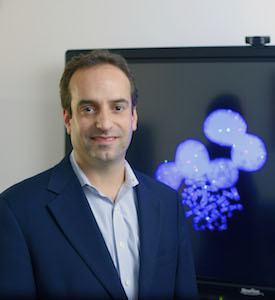 Dr. Mendell, recipient of the 2016 Edith and Peter O’Donnell Award in Medicine from The Academy of Medicine, Engineering and Science of Texas (TAMEST), has previously shown how microRNAs play a key role in the ability of a well-known, cancer-promoting protein, MYC, to drive tumor formation. The Mendell lab has revealed involvement of microRNAs in several other critical cancer pathways and showed that these molecules are important for wound healing. This work was supported by CPRIT, the National Institutes of Health, the Howard Hughes Medical Institute, and the Leopoldina Fellowship Program from the German National Academy of Sciences Leopoldina, and conducted with assistance from the Veripath Cytogenetics Laboratory at UT Southwestern, the Next Generation Sequencing Core in the Eugene McDermott Center for Human Growth and Development, and the UT Southwestern Proteomics Core. Other UTSW researchers involved include lead author Sungyul Lee, a visiting graduate student from Johns Hopkins University School of Medicine and in the UT Southwestern Department of Molecular Biology; Dr. Florian Kopp, postdoctoral researcher in Molecular Biology; Dr. Tsung-Cheng Chang, Assistant Professor of Molecular Biology; Anupama Sataluri, research assistant in Molecular Biology; Beibei Chen, computational biologist in Clinical Sciences and with the Quantitative Biomedical Research Center, part of the Center for Translational Medicine; Dr. Sushama Sivakumar, postdoctoral researcher in Pharmacology; Dr. Hongtao Yu, Professor of Pharmacology, Howard Hughes Medical Institute Investigator, and Michael L. Rosenberg Scholar in Medical Research; Dr. Yang Xie, Associate Professor of Clinical Sciences, and with the Quantitative Biomedical Research Center and the Simmons Cancer Center. The Harold C. Simmons Comprehensive Cancer Center is the only NCI-designated Comprehensive Cancer Center in North Texas and one of just 45 NCI-designated Comprehensive Cancer Centers in the nation. The Simmons Cancer Center includes 13 major cancer care programs with a focus on treating the whole patient with innovative treatments, while fostering groundbreaking basic research that has the potential to improve patient care and prevention of cancer worldwide. The Simmons Cancer Center is among only 30 U.S. cancer research centers to be named a National Clinical Trials Network Lead Academic Participating Site by the NCI, and the only cancer center in North Texas to be so designated.